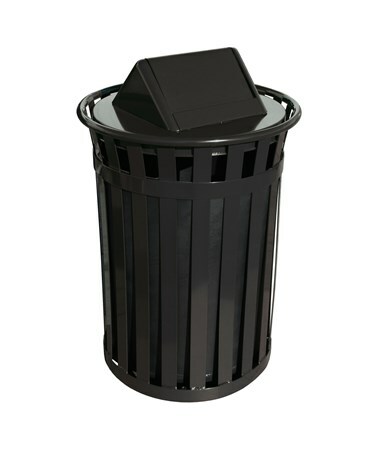 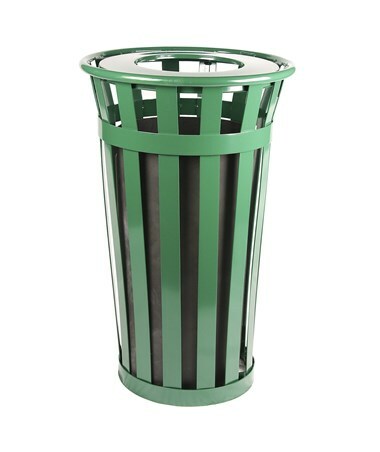 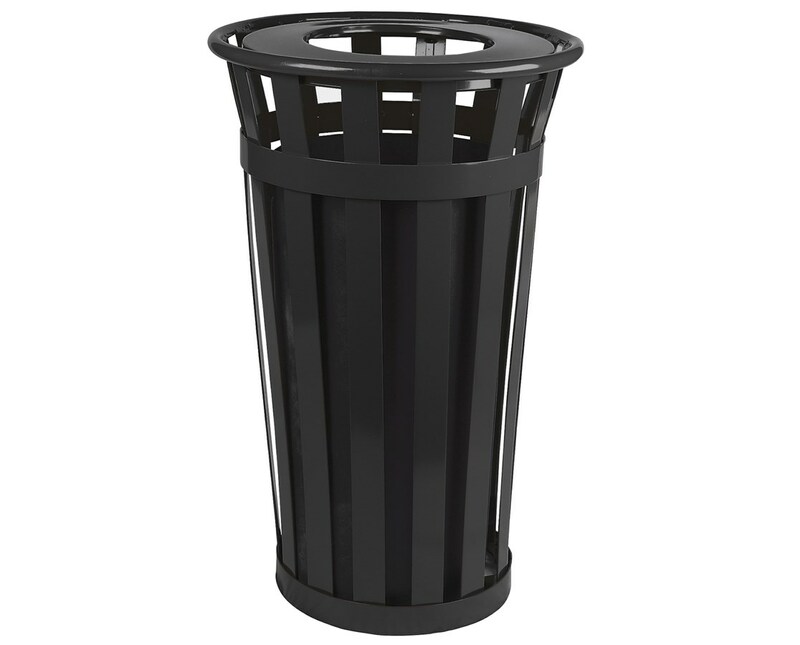 The Witt Industries Oakley Standard Waste Receptacle is a classic slatted outdoor waste receptacle featuring a flat bar steel construction that makes it deterrent for graffiti. 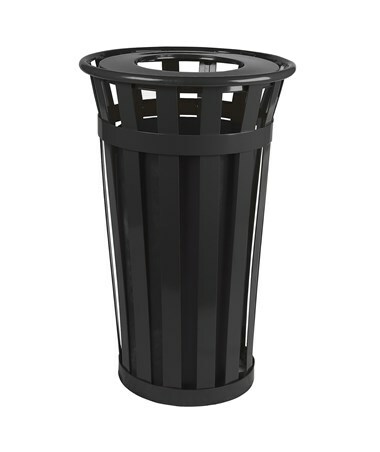 Built for ruggedness, it has a metal bar at the top for added strength plus a built-in leveling kit. 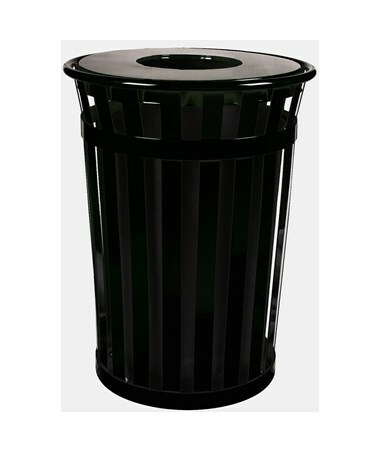 It also comes with a lid attachment kit, anchor kit and a durable plastic liner at no extra charge. 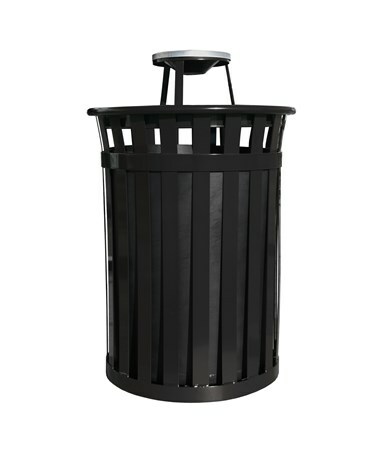 This Witt outdoor waste is available in different capacities ranging from 24 to 50 gallons. 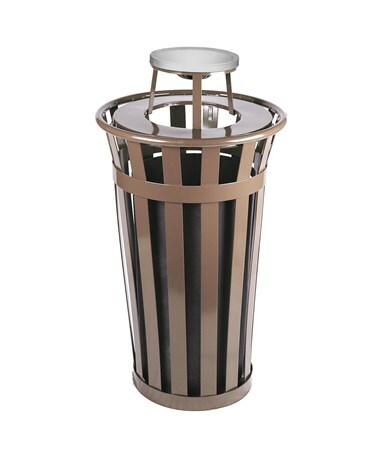 It comes in sizes of 23” x 35” (24 gal), 28” x 36” (36 gal), and 38” x 36” (50 gal). 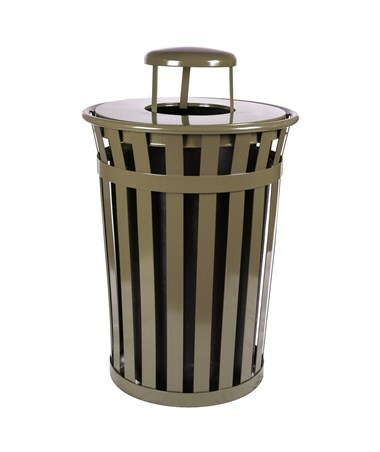 Modern powder-coat finishes in green, black, brown or silver add a pop of color while keeping this waste bin protected from the harsh environment. 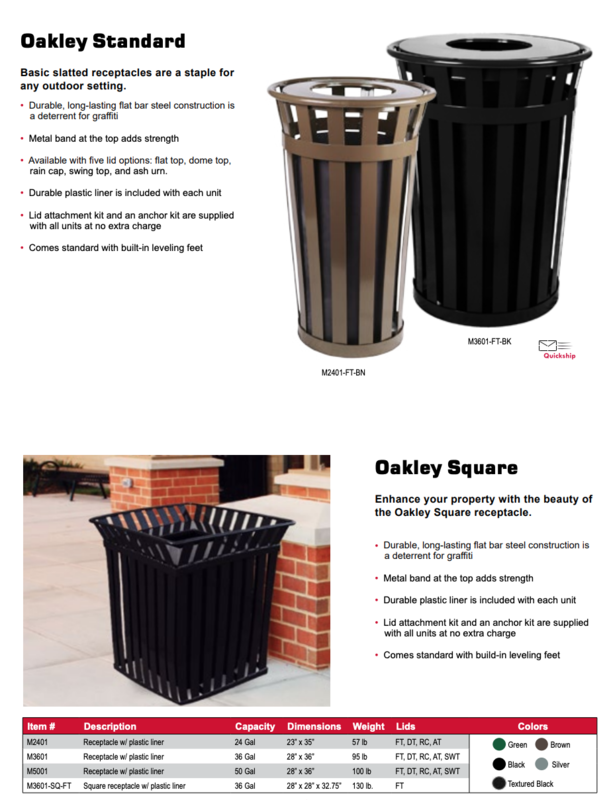 The Oakley Standard is one of Witt’s three-part Oakley Series along with Oakley Decorative and Oakley Square. 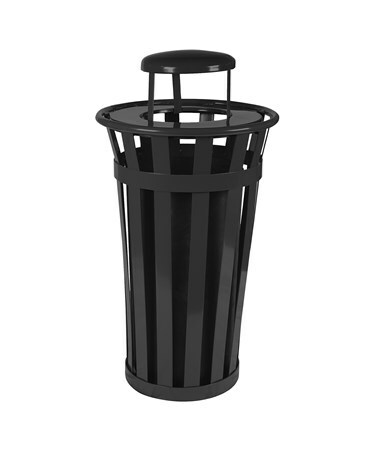 It has five lid options as well as replacement lids and an urn basket that can be purchased separately. 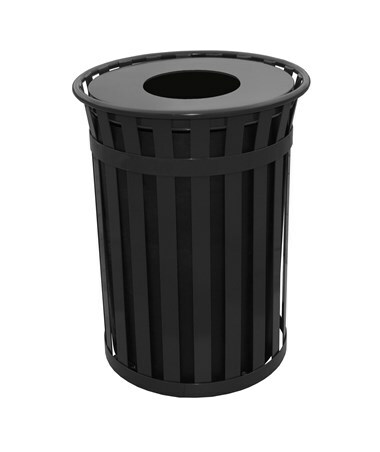 Made in the US, this top-notch waste solution has a 5-year limited warranty. 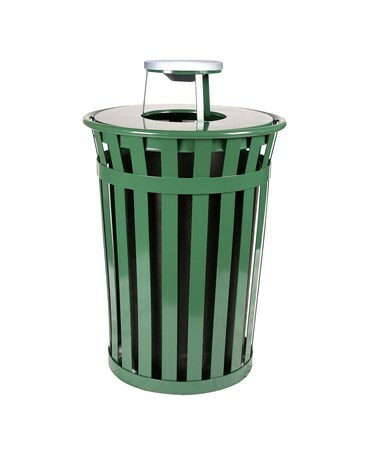 The Witt Industries Oakley Standard Waste Receptacle comes in five tops and four finish colors. 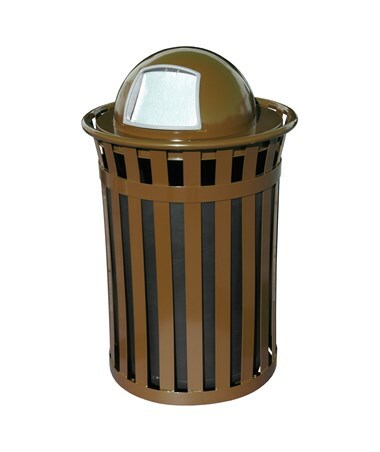 Kindly select your preference from the menus above.